Supervisory Board - Shareholder structure of TROX GmbH | TROX Malaysia Sdn Bhd. 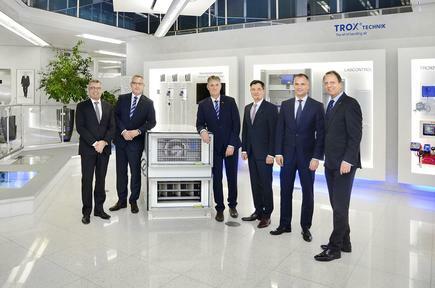 The Heinz Trox Foundation holds 94 per cent of TROX GmbH's share capital of €38 million. The remaining six per cent is available to the employee share programme, which acts as an incentive for essential TROX management employees to remain with the company for the long term. 2019 © TROX Malaysia Sdn Bhd.